A careers and recruitment website has announced it is to add 300 jobs at its Dublin headquarters over the next two years. 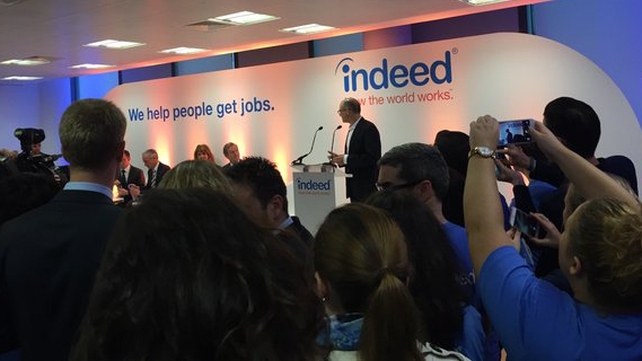 Indeed is expanding its Europe, Middle East and Africa headquarters. It says it has already started recruiting for sales, client services, business development, marketing, finance and operations roles. Indeed opened its first Dublin office in March 2012 and currently has a team of over 230 employees. The company has been supported by the Department of Jobs through IDA Ireland. Indeed president Chris Hyams said: "Today's announcement demonstrates Indeed's long term commitment to Ireland and our confidence, both in the strengthening Irish economy and in the deep pool of talent that Ireland offers. "When we opened our Irish office in 2012 we had ambitious growth plans for Indeed and Ireland has played an integral role in our international expansion. "We now have 230 employees, representing 18 nationalities in our Dublin office serving job seekers and employers all over the word.